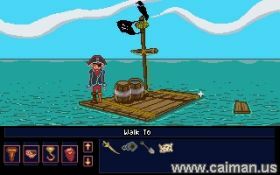 Caiman free games: The Family Treasure by buloght. 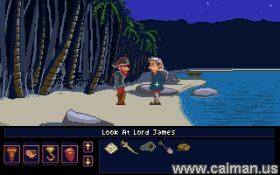 The game let me think on those old Sierra/LucasArts games. I like the humour and the plot very much. But yeah.. as always with good games, it's too short. Help Captain Bloodhook Flamebeard find his old family treasure. Forty years of search have brought him close to it's hiding place, but his crew abandoned him as they grow tired of this hopeless quest. But Bloodhook is not alone as some others also seek the family treasure. mirror download (no install) 980 kB. The Goat in the Grey Fe.